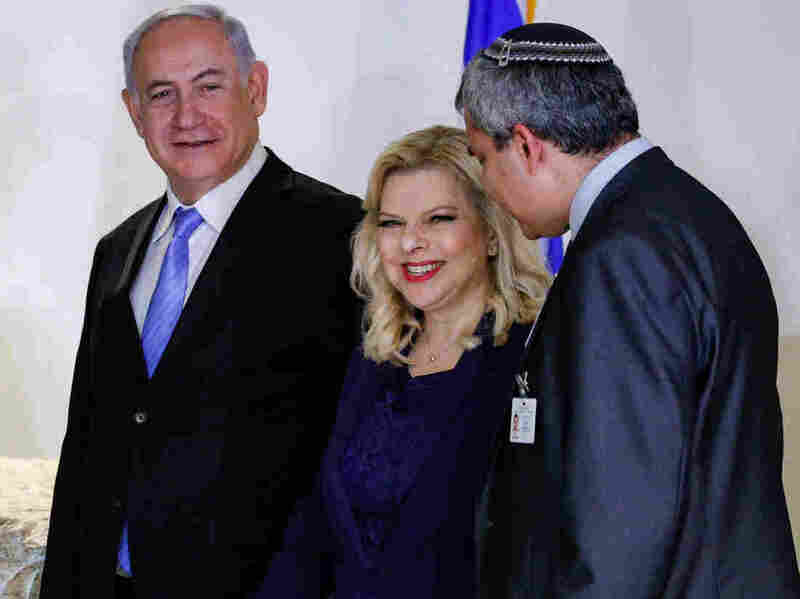 Sara Netanyahu, Israeli Prime Minister's Wife, Is Charged With Fraud Sara Netanyahu is accused of ordering some $100,000 worth of food and having the government pick up the tab, despite having a cook on staff at her home. Sara Netanyahu, wife of Israeli Prime Minister Benjamin Netanyahu (left), is charged with fraud and breach of trust over her ordering of food from pricey restaurants for private meals. Sara Netanyahu, Israeli Prime Minister Benjamin Netanyahu's wife, is charged with fraud and breach of trust over having ordered nearly $100,000 worth of food to be catered from pricey restaurants between 2010 and 2013. Prosecutors say she had the government pick up the tab — and falsely claimed there wasn't a cook at the residence. Sara Netanyahu was indicted and accused of "systematic fraud," the Haaretz newspaper reports, including allegations that she knew about rules against ordering food when a cook was on staff at the Netanyahus' official residence and that she tried to hide a cook's employment to cover up her actions. Also indicted was Ezra Saidoff, a former deputy director general of the prime minister's office. Both of the Netanyahus have been the subject of scrutiny by Israeli authorities. Police are investigating allegations of corruption against the prime minister, who has been accused of trading favors for bribes from wealthy businessmen. The indictment against Sara Netanyahu comes months after Israel's justice ministry said she might face charges over the costly meals. For years, she has been accused of leading an extravagant lifestyle. Benjamin Netanyahu had said those accusations would prove to be unfounded; he called the probe into his own activities a "media witch hunt." Israel's Ynet News says the attorney general's office is seeking a three-judge panel to hold Sara Netanyahu's trial because of "the defendant's public position."